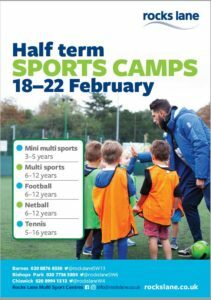 Holiday Camps will be held at Barnes, Chiswick and Bishops Park, February 18th - 22nd. Contact centres for further details. Click on image to download full size poster.